How much area does 1 can cover? That's almost impossible to say. 1 can will make around 3 gallons of foam. So depending on where you put the foam, 1 can could do 1 wall cavity (between studs) or it could do an entire wall depending on how much you apply. The trick here is to not use more than you need and to know how much you are injecting. I would recommend to time it and only inject 5 - 10 seconds per application point. 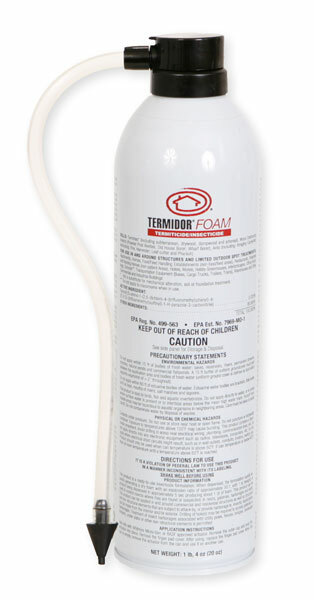 The Solo Foamer with Termidor SC is a much cheaper option if you are foaming large areas, or an entire structure.